Growing up the United States, this is one of the reasons I simply hate speaking French with fellow Haitians. French is the language of division in Haiti, period. 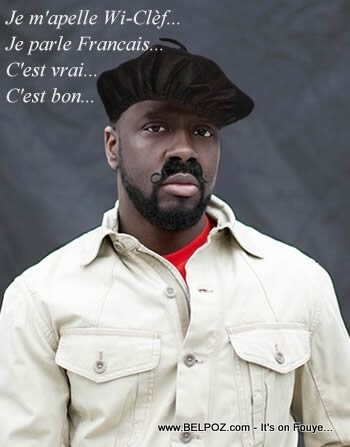 Zuzu pointu Haitians forget that French is not our language. Haitian speak Creole but a part of our society adopt French, the slave masters language, and they use it to belittle each other. When the US ambassador or any Foreign official come to Haiti and start speaking their broken French and creole nobody says anything. How many times do you communicate something to a fellow Haitian in French trying to explain something to him or her and, instead of trying to understand your concern, he instead interrupts you with: "on ne dit la poisson, poisson est masculin!" He interupts you to remind you that you should not say this, you made a mistake, instead of trying to simply get the point you're trying to send across. What good is a language if all the people you are trying to communicate correcting you instead of trying to understand your point of view? I am not writing a book lady! I just need some freaking information!